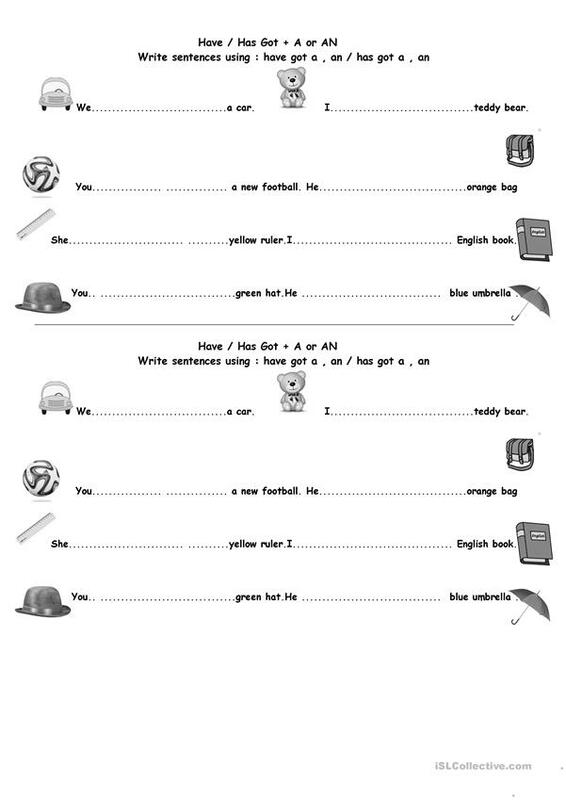 Easy ws: Sts have to write sentences using Have / Has Got + A or AN. The above printable, downloadable handout is meant for elementary school students and students with special educational needs, learning difficulties, e.g. dyslexia at Beginner (pre-A1) and Elementary (A1) level. 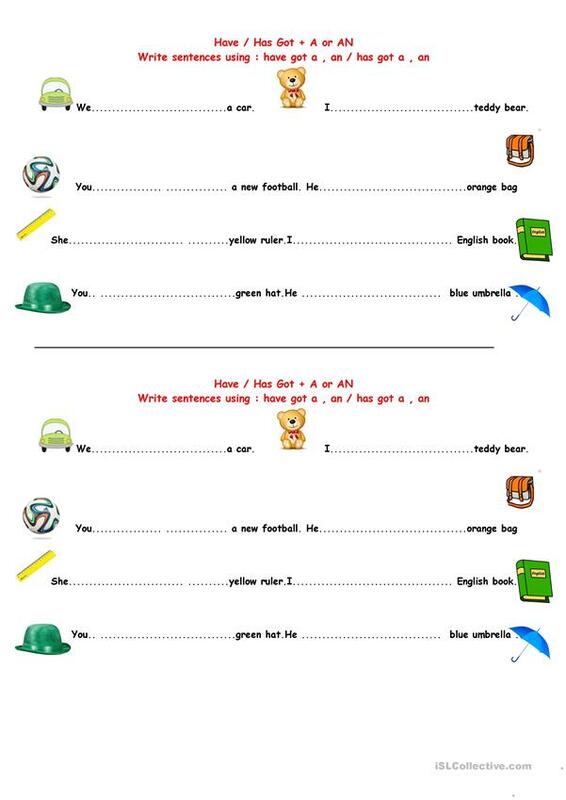 It is valuable for practising HAVE GOT or HAS GOT in English, and was designed for improving your class' Writing skills. It centers around the vocabulary topic of Actions.